The hot lips plant (Psychotria poeppigiana) is so-called for obvious reasons. This flower invariably provokes amused giggles among those who first see it. It is also called devil's ear (= "oreja del diablo"). Indigenous people use it for several medicinal purposes. Like many plants with red flowers, it is pollinated by hummingbirds. 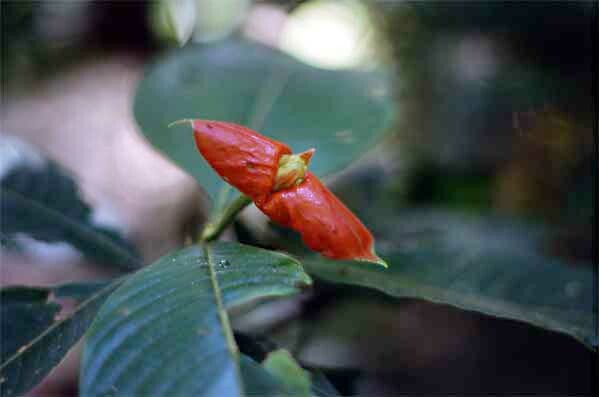 It is found throughout the Neotropics.